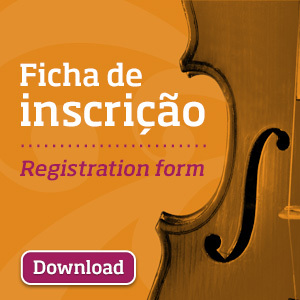 The winner of the 1st Prize in the 4th International Chamber Music Competition “Cidade de Alcobaça” (CIMCA) was Duo Piaolin, awarded just after the Senior Category Final held today at Cine-Teatro de Alcobaça – João d’Oliva Monteiro. This group takes home a check in the amount of 4000 euros and the opportunity to perform concerts during 2016 season in Cistermúsica – Alcobaça Music Festival, Stellenbosch Chamber Music Festival and Maputo International Music Festival. In the remaining positions, Duo Shalamov occupied the 2nd place (Prize worth 2000 euros) and Duo L the 3rd position (Prize worth 1000 euros), having the jury still decided to assign a Honorable Mention to Sforzanduo. In this way, Duo Piaolin joins Face Two Phase, 1st Prize in the Junior Category. Both ensembles will perform in CIMCA’s last day, tomorrow, March 27th, concerts that will be held during the Awards Ceremony and Winners Concert, by 21:00 pm, at Cine-Teatro de Alcobaça – João d’Oliva Monteiro.